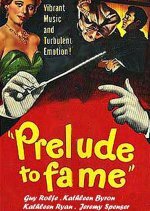 Based on a short story by Aldous Huxley, this British drama chronicles the rise of a young man named Guido (Jeremy Spenser) who has an exceptional ear for music. When his neighbour, well-to-do music patron Signora Bondini (Kathleen Byron), discovers Guido's gift, she takes him under her wing, providing lessons and exploiting his talents as an orchestra leader. After Bondini severs Guido's ties to his impoverished family, he must decide whether to remain in the spotlight or return to his roots.